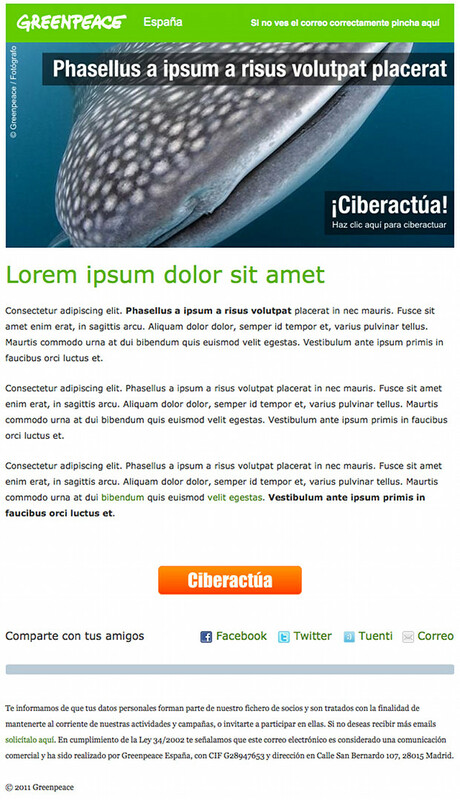 Designing and developing good email templates is more difficult than web templates. Unfortunately email templates have to render in obsolete e-mail clients, and what works in ones often does not work in others. Email templates also have to make sense when image display is turned off. So, 60% of e-mail design is testing and fixing rendering problems, and 20% is making the templates modular and easy to edit later. The other 20% is the most important and fun part of the job: creative work and strategic analysis. E-mail is still the best online fundraising tool and the main medium to communicate with supporters. Bellow two images of e-mail templates I’ve designed and developed.